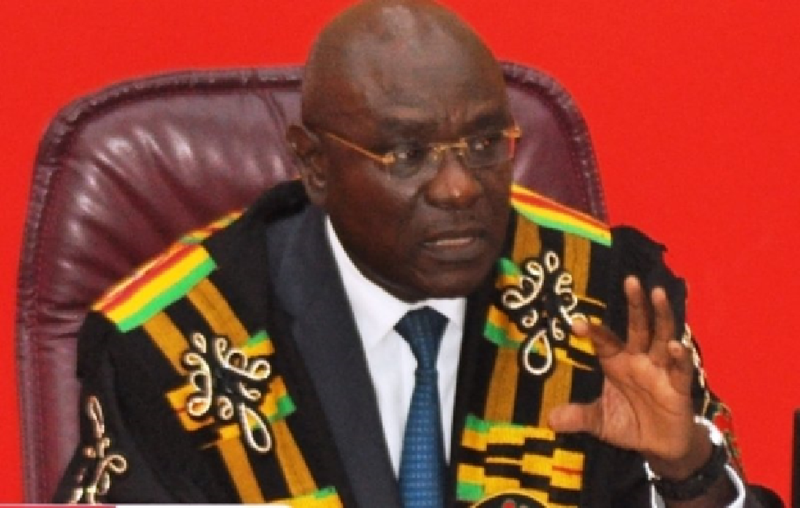 The Speaker of parliament, Edward Doe Adjaho, has asked members of Ghana’s parliament to avoid inciting constitutional bodies against each other on matters of jurisdictional authority. Parliament reconvened, over the controversial Ford vehicle gift given to President Mahama by a Burkinabe contractor. The emergency recall had been occasioned by the Minority in Parliament’s request, via a motion, to the speaker for the House to constitute a special parliamentary committee to investigate whether President Mahama had received the vehicle or not and also find out if by receipt, the president infringed on any laws of the country, or infringed on his own code of conduct and any other matter relevant to the donated vehicle. The Speaker in pursuance of Article 112 (3) of the 1992 Constitution and order 38 (1) of the standing orders of Parliament sent a message to the MPs asking them to report to the House on Thursday, to deliberate on the issue. But as sitting commenced, Doe Adjaho dismissed the motion before it ould be considered by members of the house saying he only called the Members of Parliament back to demonstrate his respect for the laws that govern the chamber. He said the matter should be left to CHRAJ to determine so parliament does not get caught in role duplication of another constitutional body. “CHRAJ also has jurisdiction to investigate all matters of corruption and abuse of power,” he told the house. “As speaker of this house, I am of a firm conviction that constitutional bodies must respect each other in the performance of their duties in order to avoid role conflicts,” the speaker added. Meanwhile, counsel for President Mahama, Mr Tony Lithur, is asking the Commission of Human Rights and Administration Justice (CHRAJ), to dismiss the allegations of conflict of interest levelled against the President. Responding to the petitions filed at CHRAJ by the Progressive People’s Party (PPP) and the Youth Wing of the Convention People’s Party (CPP), Mr. Lithur in a letter dated July 18, 2016 said President Mahama was innocent of the allegations levelled against him. The motion by the Minority, copies of which were made available to the media, was signed by the Minority Leader, Mr Osei Kyei-Mensah-Bonsu, on August 3, 2016.